Data has the power to make or break companies. It is known that quality of data aggregated by a company from different departments i.e. Business development, operations etc. is quintessential in building a strong organizational structure. But when it comes down to making decisions, the Minutes of Meetings of board meetings often has a repeated note – insufficient data for analysis. If quantity is nothing without quality, quality is nothing without security. Yes! Data security is a major concern for industries nowadays. Data breaches can be catastrophic to an organizations’ success. A company’s backbone is the system on which it has built its entire architecture, where the actual work happens, files shared, and data consolidated. To ensure optimum security, every organization needs to define realistic access control features in their system. In broad terms, access control is a security technique that can be used to exercise control over who can view or use information in a digital environment. Prioritizing data security and keeping the data quality & quantity in mind, we have introduced some powerful features in Orgzit that give you and your team members a foolproof sense of security over the information stored and exchanged. Essentially, Orgzit becomes your secure link to handle quality and quantity simultaneously. In large enterprises and SMBs, where several people work under several others, and a hierarchy comes in the picture, all the information exchanged requires certain checks and filters to define its visibility and accessibility. 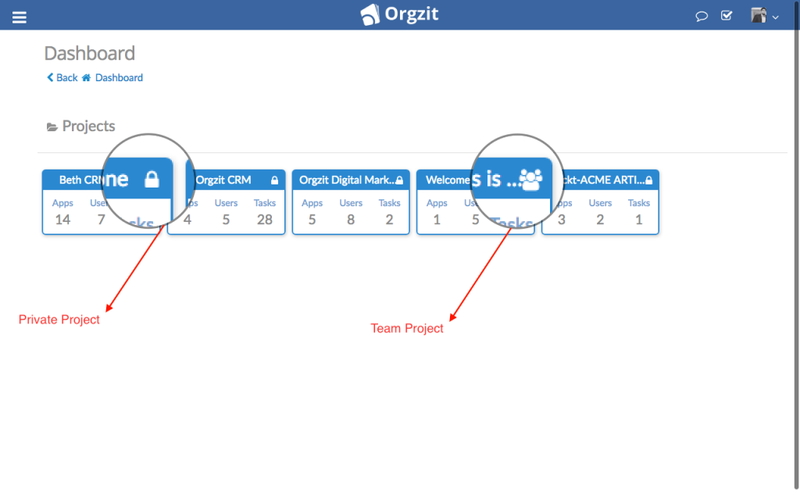 Once you have created an account in Orgzit, added all members, you can create multiple projects suiting your business needs with different people working on different projects. Team Access Projects: They’re used for projects open to all members connected to the account. Any information added to the team access projects can be browsed & searched by all collaborators. Private Access Projects: These are generally used for confidential work. You have to be specifically invited to a private project in order to see and search its contents. To begin with, Mark created two team projects – CRM & Trading Operations, which were accessed by all his team members. However, Mark did not want to share the business finances and company accounts with all his team members. To achieve this he quickly created a Finance and Accounts project with ‘private access’ for tracking the progress of his business finances and accounts on a daily basis without compromising on his requirements for data security. Pretty convenient! Right? Mark can even add new account administrators who will be able to perform the same functions as him. As a business owner, this allows Mark exercise extreme flexibility over the different roles played by the team members in his organization and create a digital environment that exactly reflects the real-life organization structure and processes. More power to him! Administrator: This access level gives you control over all edit and view features of a project. 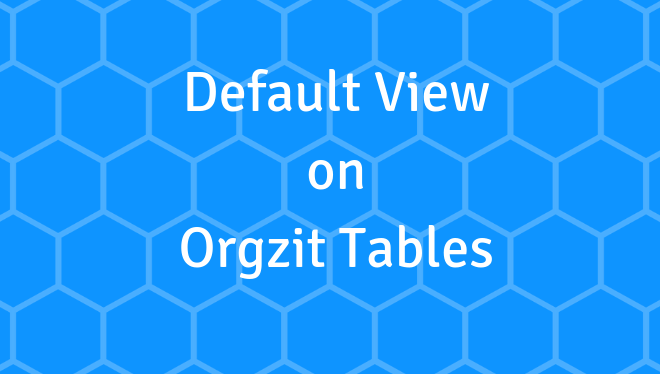 Edit: With ‘edit’ access, Orgzit project users can add/edit/view records. View: With ‘view access, Orgzit project users will just be able to navigate through the records without being able to make any changes. Since Mark strongly believes in efficiently delegating responsibilities and avoiding the need for micro-management, he takes access controls one-step ahead in projects. How? He gives Ted, Vice-President of Mark’s company administrator access, inviting him into the small circle he shares with his trusted business partners. Ted takes the center stage and manages the duties assigned to him in Orgzit’s digital world without letting Mark become the bottleneck. Further, every Project Administrator can add new team members with edit access for making daily changes, and vendors and clients can be also be invited with view access to showcase open to all information such as a company portfolio, company policies etc. This way, Mark is able to effectively delegate and grow his business without compromising his level of control in the organization. Orgzit also allows you to exercise access control at the app and in fact every record level so that the pertinence and integrity of data are not lost in the exchange of information carried out through a long hierarchical chain or a wide array of partnerships with multiple internal and external collaborators. Mark’s team has become far more productive and his business is rapidly growing with Orgzit as its centralized IT platform. He has hired a new external agency to support his operations team that takes care of after-sales and customer support services. But expansion means more collaborators and more role defining. In order to effectively manage the growing business needs, Mark has set up another project in Orgzit called Outsourced Services, where his team and other collaborators work on providing top-notch after-sales services and customer support. But Mark had some reservations about opening up his company’s data with external collaborators. Since he would now have multiple sales reps and customer support executives working from remote locations, this project has multiple apps where all reps either capture leads or work on customer tickets. He wanted to ensure that his outsourced operations team (customer support) should only have access to the information pertinent to them and the rest should be restricted. This is where he started using Orgzit’s super powerful ‘user groups’. Mark created two user groups – Customer Support & Sales Reps inside his Outsourced Services Project. Secondly, Mark prioritizes data security over quality and quantity. And he didn’t want his remote after-sales team to download the list of customers or any other personal information and run away with it. (Who would?) So he wanted to define permissions on the functions that these user groups will be able to perform. This is where Orgzit App Permissions that provide enterprise-grade access control features came handy. With such granular app permissions, Mark could provide the external agency with very limited functionalities of viewing and adding new information. None of the external executives were given the permissions to download, delete or edit any customer data. This way, he ensured data security as well as introduced the concept of accountability within his business development and operations team. In a way, he has absolute control over his company data. With Orgzit, Mark isn’t only successful; his employees are actually using a system which allows them to be more efficient and productive during the office hours. How Does Orgzit Security Impress Your Partner? Paola, Mark’s digital outsourcing partner is one of Orgzit users. In her company, she has an in-house content and design team of 20. She needs to collaborate with several other freelancers on a regular basis to cater to the growing needs of her clients, including Mark. She loved Orgzit while working on a project with Mark and she signed up for a new account for her own team and now she makes excellent use of Orgzit. How? She has one project, one application, two user groups, and all data in one place. She has given create and edit access to her team of freelancers whereas create, edit, download, delete access to his in-house team. Now if she still worries about the changes made in the records, she can always check the changes made in Orgzit History. Other Scenarios Where Orgzit’s Granular Access Control Can Be Used? Orgzit can be very useful for managing your dealer network for sales, operations and customer support. 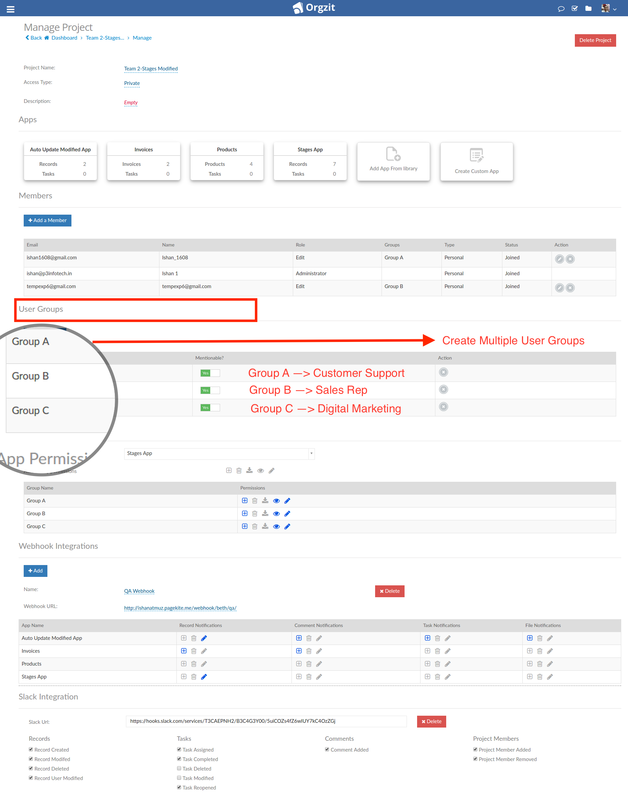 You can easily setup Orgzit in a way that permits the dealers to view & collaborate on only the information linked to their own customers and leads. You can create an applicant-tracking system to collaborate with multiple external recruitment agencies without compromising on data security or duplication of work. 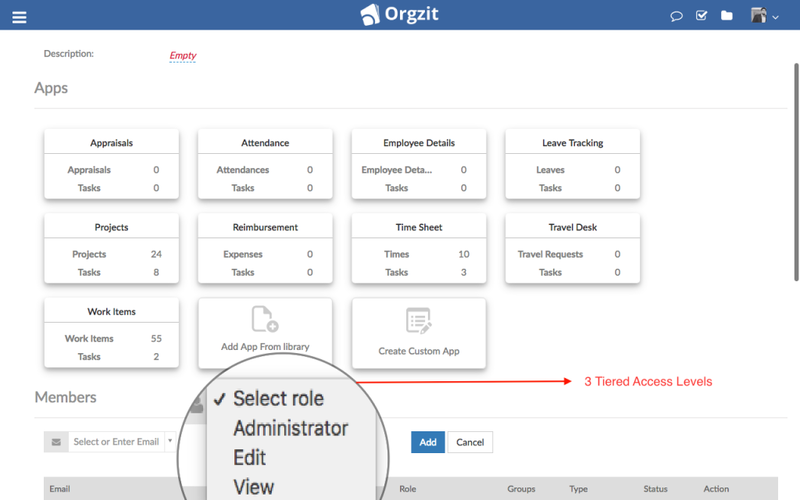 In Orgzit, a flexible setup can be easily created where all job openings in your company are shared and open to all recruitment agencies you work with and the suggested candidates are all added into a single location – which would save a lot of your internal team’s time in collating candidate information and providing interview feedback. Collaborating with vendors and sub-contractors is very effectively done in Orgzit. 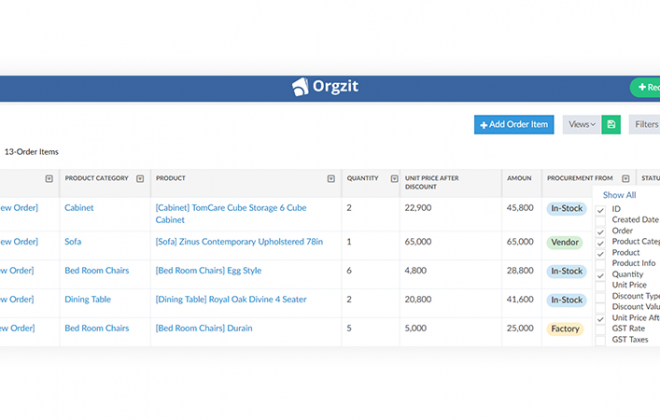 All vendor information such as quotations, purchase orders, and technical information can be put in a single place within Orgzit powered by fine-grain access control which will ensure no vendor is able to see information about other vendors on your vendor management system. Financial Institutions, donor agencies as well as government departments can efficiently use Orgzit for setting up monitoring & evaluation frameworks. Using the granular access control features a complete ring-fence can be created for internal vs external partners. 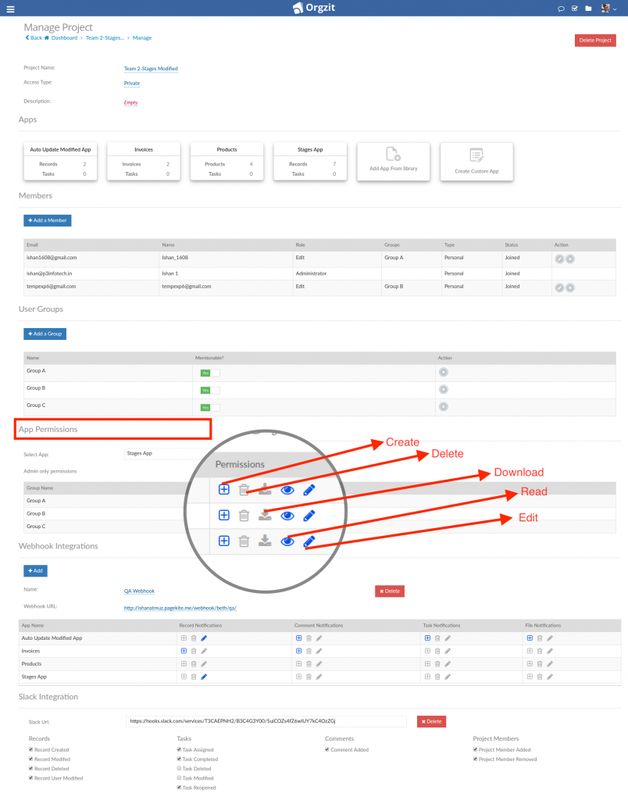 Quick Recap of Orgzit Access Control Features? 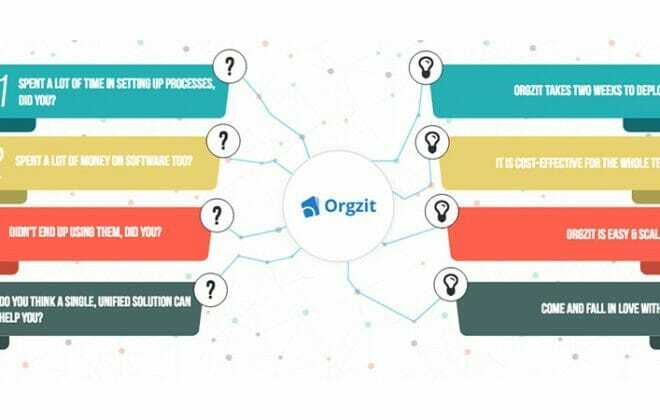 If you are looking for a platform where you could bring together your whole team as well as your clients to organize, collaborate, and analyze, give us a holler and we will set Orgzit up for you.